The Green New Deal has recently been promoted by a group of Democrats including the inspirational Alexandria Ocasio-Cortez. 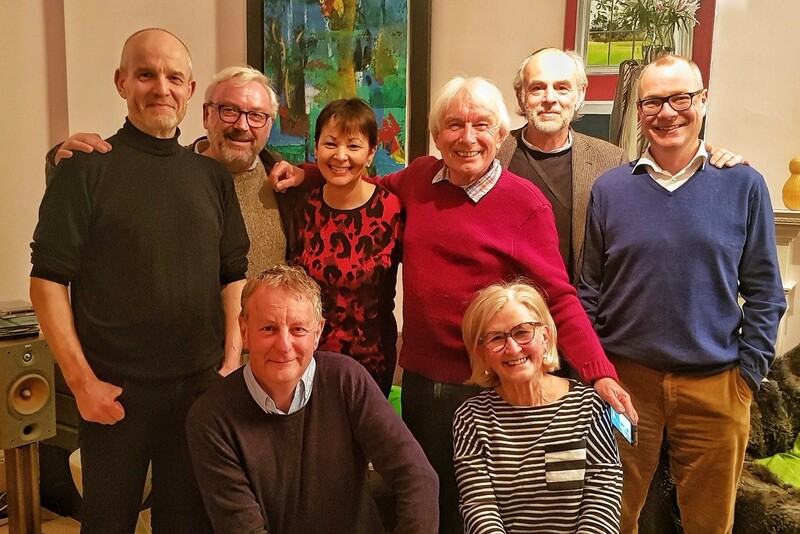 I first came across it in a report in 2008 by the Green New Deal group, most of whom are pictured above a decade later (HT Andrew Simms). The view that we face a potentially existential climate change crisis, which politicians seem currently reluctant to sufficiently tackle, and which therefore requires a government led programme on the scale in each country of Roosevelt’s New Deal, is something I share. I would put it in the following way. Tackling climate change is resisted by powerful political forces that have in the past prevented the appropriate taxes, subsidies and regulations being applied. Which is a major reason why the world has failed to do enough to mitigate climate change despite decades of warnings from scientists. You need something like a Green New Deal to push aside those vested interests, and get the right taxes, subsidies and regulations into place. Just as proponents of a Green New Deal are savvy about the need to overcome the resistance of, for example, the oil and gas industry, they also realise that the Green New Deal needs to be politically popular. So the New Deal package has to include current benefits for the many, perhaps at the expense of the few. What the most effective measures are to mitigate climate change, and perhaps other global environmental disasters, is a fascinating topic. We can learn a lot from the successes so far. Solar energy is now at least as cheap as coal, oil and gas, but this was not always so. It required substantial subsidies or state help for initial development, despite protests that solar energy would always be too expensive. Once a technology is widely used it tends to get cheaper to produce because innovations continue when a mass market emerges, and that is what happened with solar energy. It is impossible to pick winners in advance, so we need to try a number of things some of which will fail. Partly because of those failures a great deal of the required research and development must come from the public sector. No stone must be left unturned when the future of humanity is at stake. Which all sounds rather expensive, and in particular will require large amounts of public money. An interesting and important issue is how this should be paid for. In the scheme proposed by among others Thomas Piketty, higher taxes on multinationals, millionaires and carbon emissions generate funds to tackle poverty, migration, and climate change. Others have suggested that this spending is better funded by borrowing or creating money. To examine who is right, I want to talk about some of the work of John Broome, an Oxford philosopher and economist. 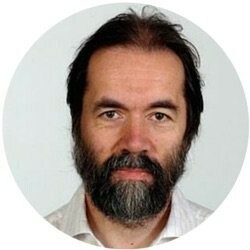 John Broome was a key advisor to the Stern review on climate change. He argued, and Stern agreed, that we should not discount the welfare of future generations as much as market interest rates appear to do. The reason is ethical: the current generation had no justification for valuing the welfare of the unborn less than their own welfare. This helped Stern to recommend much more current action on climate change than other US based analysis. As Broome emphasised, the key argument here was ethical not economic. In terms of the funding debate, ethical arguments are also critical. The polluter pays principle suggests that the current generation should pay to mitigate the impact of the pollution they cause. So we should all be paying more for energy, for example, so that the carbon used to produce that energy is priced to reflect its impact on climate change. The idea that the polluter should pay makes economic and ethical sense. It embodies an idea of fairness that most people would accept. Unfortunately this does not work well enough in practice because those with an interest in selling more carbon and their political allies make people doubt that climate change is real. In addition the connections between the prices people pay and the emissions that cause climate change are often not transparent. So how do you deal with societies that for these reasons fail to pay enough to mitigate climate change? The argument that Broome put forward (following work by Duncan Foley) is that measures to tackle climate change can be funded by issuing debt. This breaks the polluter pays principle, but it can still lead everyone to be better off (what economists call a Pareto improvement). If government debt rather than taxes are increased to pay for, for example, investment in greener infrastructure the current generation gets away with not having to pay. If future generations have to pay back the debt used to pay for these measures, that cost falls on them, but it is more than matched by the benefits to them because of the climate change avoided as a result. In other words if you cannot make the polluter pay, it is still better to take action to stop climate change even if future generations have to pay the cost of that action. The case for using government debt to fund the Green New Deal has been strengthened by recent observations by Olivier Blanchard. He noted that interest rates on government debt have over the last half century been below the growth rate of GDP. What this means is that a one-off increase in debt may not require higher tax rates in the future, because that debt as a share of GDP will gradually shrink. If both these reasons for using debt finance to partially pay for the Green New Deal fail to convince, just think of it this way. No one in a 100 years time who suffers the catastrophic and (for them) irreversible impact of climate change is going to console themselves that at least they did not increase the national debt. Humanity will not come to an end if we double debt to GDP ratios, but it could come to an end if we fail to combat climate change. All this means that the question of how a measure is financed should never prevent that measure being implemented if it has a reasonable chance of reducing climate change. The whole point of the Green New Deal is that measures should be judged on how effective they will be at achieving their goal, and not on whether they can be afforded. Funding through taxes should be the first option because the polluter should pay, but if this is not politically possible then government debt should increase. What are the chances of either of the two main political parties implementing a Green New Deal in the UK? It is hard to see a Tory government doing so because of its aversion to debt finance, its neoliberal reluctance to have government lead the way, and because the party contains many climate change deniers. The Labour party is much better placed, and has already set out plans to create its own Green New Deal. Crucially their fiscal credibility rule makes the distinction between current spending that does need to be covered by taxes in the medium term and investment spending that does not, because future generations benefit from that investment. The Green New Deal is all about investing now to improve the welfare of future generations. Il New Deal Verde è stato di recente promosso da un gruppo di democratici che comprende la stimolante Alexandria Ocasio-Cortez. Mi ero imbattuto in esso per la prima volta in un rapporto del 2008 a cura del gruppo Green New Deal, gran parte dei cui componenti compaiono in questo ritratto più di un decennio dopo (da un tweet di Andrew Simms) . Il punto di vista secondo il quale siamo dinanzi ad una crisi del cambiamento climatico potenzialmente minacciosa per le nostre esistenze, che gli uomini politici sembrano riluttanti a contrastare sufficientemente, e che di conseguenza richiede un programma a guida pubblica delle dimensioni, in ciascun paese, del New Deal di Roosevelt, è qualcosa che io condivido. “Di fatto, le critiche all’approccio economico al cambiamento climatico implicito nel New Deal Verde non sono relative al fatto che esso sia difettoso o politicamente irrealistico, ma che sia un errore di categoria, come cercare di sconfiggere Hitler con una tassa su fascismo”. Io lo direi ne modo seguente. Il contrasto al cambiamento climatico trova l’opposizione di potenti forze politiche che nel passato hanno impedito che venissero applicate le tasse appropriate, i sussidi e i regolamenti. E questa è una importante spiegazione della ragione per la quale il mondo non è stato capace di mitigare a sufficienza il cambiamento climatico nonostante decenni di ammonimenti da parte degli scienziati. C’è bisogno di qualcosa come un New Deal Verde per mettere da parte questi interessi costituiti e mettere in funzione le giuste tasse, i sussidi ed i regolamenti. Proprio in quanto i proponenti un New Deal Verde sono consapevoli della necessità di superare la resistenza, ad esempio, dell’industria del petrolio e del gas, essi comprendono anche che il New Deal Verde ha bisogno di essere politicamente popolare. Dunque il pacchetto del New Deal deve comprendere i benefici presenti per molti, magari a spese di pochi. Quali siano le misure più efficaci per mitigare il cambiamento climatico, e forse altri disastri ambientali globali, è un tema affascinante. Possiamo imparare molto dai successi ottenuti sino a questo punto. L’energia solare è adesso almeno altrettanto conveniente del carbone, del petrolio e del gas, ma non è sempre stato così. Sono stati necessari sussidi sostanziali e l’aiuto degli Stati per gli sviluppi iniziali, nonostante le proteste secondo le quali l’energia solare sarebbe stata troppo costosa. Una volta che una tecnologia è ampiamente utilizzata, produrla tende a diventare più economico perché le innovazioni continuano quando emerge un mercato di massa, ed è quello che è avvenuto con l’energia solare. È impossibile selezionare in anticipo i vincitori, dunque c’è bisogno di un certo numero di cose, alcune delle quali falliranno. In parte perché una gran parte della ricerca e dello sviluppo richiesti dovranno venire dal settore pubblico. Non deve essere lasciato niente di intentato, quando è in gioco il futuro dell’umanità. Tutto questo sembra abbastanza costoso, e richiederà in particolare grandi somme di denaro pubblico. Un tema interessante e importante è come tutto questo dovrebbe essere pagato. Nello schema proposta dagli altri da Thoms Piketty, tasse più elevate sulle miltinazionali, sui miliardari e sule emissioni di carbonio generano i finanziamenti per contrastare la povertà, l’immigrazione e il cambiamento climatico. Altri hanno suggerito che questa spesa sia più appropriatamente finanziata con l’indebitamento o creando moneta. Per esaminare chi abbia ragione, voglio parlare su alcuni aspetti del lavoro di John Broome, filosofo ed economista di Oxford. John Broome è stato un consigliere fondamentale del rapporto Stern sul cambiamento climatico . Egli ha sostenuto, d’intesa con Stern, che non dovremmo scontare il benessere delle future generazioni così come i tassi di interesse di mercato sembrano fare. La ragione è etica: l’attuale generazione non ha alcuna giustificazione per dare un valore minore al benessere di chi non è ancora nato rispetto al proprio benessere. Questo ha aiutato Stern a raccomandare una molto maggiore iniziativa attuale sul cambiamento climatico rispetto ad altre analisi provenienti dagli Stati Uniti. Come Broome ha sottolineato, in questo caso l’argomento fondamentale era di natura etica e non economica. A proposito del dibattito sul finanziamento, anche gli argomenti etici sono essenziali. Il principio secondo il quale l’inquinatore paga indica che l’attuale generazione dovrebbe pagare per mitigare l’impatto dell’inquinamento provocato. Dunque, dovremmo tutti star pagando di più per l’energia, ad esempio, in modo tale che il carbonio utilizzato per produrre tale energia abbia un prezzo che riflette il suo impatto sul cambiamento climatico. L’idea secondo la quale l’inquinatore dovrebbe pagare ha un senso econlomico ed etico. Essa incarna un’idea di giustizia che la maggioranza delle persone accetterebbe. Sfortunatamente, in pratica questo funziona poco perché coloro che hanno un interesse a vendere più carbonio e i loro alleati politici fanno venire il dubbio nella gente che il cambiamento climatico sia effettivo. In aggiunta, le connessioni tra i prezzi che le persone pagano e le emissioni che provocano il cambiamento del clima spesso non sono trasparenti. Dunque, come ci si comporta con le società che per queste ragioni non pagano abbastanza per mitigare il cambiamento climatico? La tesi che Broome sostiene (seguendo il lavoro di Duncan Foley) è che le misure per contrastare il cambiamento climatico possono essere finanziate ricorrendo al debito. Questo rompe con il principio che l’inquinatore paga, eppure può ancora portare tutti a star meglio (quello che gli economisti chiamano un miglioramento paretiano). Se si aumenta il debito pubblico anziché le tasse, ad esempio, per pagare infrastrutture più ambientaliste, l’attuale generazione se la caverebbe senza dover pagare. Se le generazioni future dovranno restituire il debito che è stato necessario per pagare queste misure, quel costo ricadrà su di loro, ma ciò sarà più che bilanciato dai benefici che riceveranno per il cambiamento climatico scongiurato. Se non si può far pagare gli inquinatori, sarà comunque meglio assumere una iniziativa per fermare il cambiamento climatico anche se le future generazioni dovranno pagare il costo di quella iniziativa. L’argomento di usare il debito pubblico per finanziare il New Deal Verde è stato di recente rafforzato dalle osservazioni di Olivier Blanchard. Egli ha notato che i tassi di interesse sul debito pubblico, nello scorso mezzo secolo, sono stati al di sotto del tasso di crescita del PIL. Il che significa che un unico aumento del debito può non richiedere aliquote fiscali più elevate in futuro, giacché quel debito come parte del PIL verrà gradualmente a ridursi. Se entrambe queste ragioni per usare finanza in debito per pagare in parte il New Deal Verde non vi convincono, è sufficiente che ragioniate in questo modo. In un centinaio di anni nessuno che soffra il catastrofico e (per lui) irreversibile impatto del cambiamento climatico è destinato a consolarsi almeno per non aver accresciuto il debito nazionale. L’umanità non arriverà alla fine se raddoppiamo i rapporti tra debito e PIL, ma potrebbe arrivare ad una fine se non riusciamo a combattere il cambiamento climatico. Tutto questo significa che la domanda di come una misura è finanziata non dovrebbe mai impedire che quella misura venga realizzata se essa ha una ragionevole possibilità di ridurre il cambiamento climatico. Più in generale il tema del New Deal Verde è che le misure dovrebbero essere giudicate per quanto saranno efficaci nel realizzare il loro obbiettivo, e non se possono essere sostenute. Finanziarle attraverso le tasse dovrebbe essere il primo obbiettivo perché gli inquinatori dovrebbero pagare, ma se questo non è possibile il debito pubblico dovrebbe crescere. Quali sono le possibilità di ambedue i principali partiti politici di realizzare un New Deal Verde nel Regno Unito? È difficile immaginare che un Governo Tory lo faccia, data la sua avversione alla finanza in debito, la sua riluttanza neoliberista ad avere un Governo che apra la strada, e considerato che il partito contiene molti negazionisti del cambiamento climatico. Il partito del Labour è collocato molto meglio, ed ha già stabilito programmi per creare un suo proprio New Deal Verde. Fondamentalmente la loro regola di responsabilità nella finanza pubblica fa una distinzione tra la spesa corrente che richiede nel medio termine di essere coperta dalle tasse e la spesa di investimento che non lo richiede, perché le generazioni future beneficiano di tali investimenti. Il New Deal Verde riguarda interamente l’investire oggi per migliorare il benessere delle generazioni future. Il Rapporto Stern – un lavoro di 700 pagine pubblicato per conto del Governo britannico il 30 ottobre 2006 dall’economista Nicholas Stern – per quanto non sia l’unico rapporto economico sul cambiamento climatico, è il più ampio e il maggiormente noto e discusso lavoro del suo genere.